Sitting in on a media interview recently filled me with some new insights into the critical need to render Cooperative Extension not only platform friendly but also platform ready. And by “ready,” I mean an organization that is not only congenial to platforms but also fully equipped to be early adopters and, in some cases, innovators of open-source platforms. Indeed, this interview not only filled me with new insights but also with a resolve to drive home this critical truth: Cooperative Extension’s very survival depends on our transforming ourselves into a platform-ready organization. 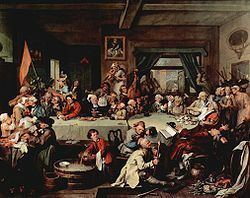 William Hogarth’s painting of a spirited 17th century political dinner at a restaurant tavern. Needless to say, the increasing levels of social networking that have followed the advent of Web 2.0 have significantly enhanced the conditions out of which these platforms emerge. The interview that prompted these new insights into platforms involved a reporter from a major Alabama news outlet and Dr. John Fulton, a highly respected Alabama Extension specialist and Auburn University and precision farming pioneer, who discussed the implications of data-management to farming — not only how it will affect farmers but also how it will transform the work of Cooperative Extension educators. 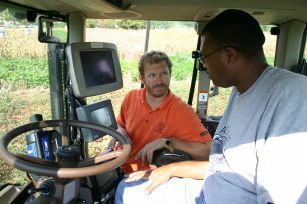 Fulton contends that 2012 will be remembered as the watershed year of farm data management — the year when companies began investing significantly into improving their product and service offerings by providing farmers with ways to aggregate and curate the reams of data generated by farm-related technologies, particularly those associated with precision technology. To put it another way, the immense amounts of data generated by all these farming technologies have reached a critical mass. In fact, farmers don’t know quite how to assimilate all this data — little wonder why a growing number of entrepreneurs have not only begun noticing this trend but are also formulating ways to aggregate and curate it on their behalf. The impression I get is that it has the makings of an entrepreneurial free-for-all, sort of like the mad dash for land and wealth that followed the European settlement of the Americas, Australia and parts of sub-Saharan Africa. At some point during the interview the realization struck me: This critical mass of farming data constitutes a platform, the basis on which a growing number of entrepreneurs hope to conceive and develop profitable innovations and technologies. The exchange prompted few random thoughts about the implications of platforms to the future of Cooperative Extension. First, the data-management issue in farming is a prime example of emergence, basically how a handful of unintentional interactions eventually contribute to great leaps in thinking, which, in the course of leading to new ways of looking at things, provide the basis for new ideas and concepts and, in a few cases, to full-blown innovation. These new insights sometimes form the basis for highly generative platforms, much as coffeehouses did in the 17th century. Second, this farm-data trend has been playing out for years. Yet, even many of the best and brightest in Cooperative Extension, including Fulton, scarcely noticed it until now. Consequently, this development, entirely unforeseen, has presented Cooperative Extension with some real challenges. If everyone and his brother are trying to build off this platform — to aggregate and curate this data for the benefit of farmers — where does this leave Extension? What will happen to us as other players manage to capitalize on this platform and others that follow, becoming better equipped along the way to aggregate and curate this data on behalf of farmers? Third, do our current 20th century linear programming models blind us to change? Are they preventing us from seeing platforms that are emerging all around us? I think a strong case could be made that they do. These obsoleting programming models —obsoleting is probably a too generous word in this context — are hampering our ability to adapt to the demands of this highly generative information landscape emerging around us. Could professional training enable us to recognize a platform when we see one? Is it possible to equip Extension educators with the skills to perceive platforms in the making? Through heightened awareness, is it possible not only to recognize these emerging platforms but also to capitalize on them before they develop into full-fledged platforms? For that matter, is it possible to recognize the environments in which these platforms are likely to emerge so that we can build platforms ahead of everyone else? I suspect that an ability recognize and emerging platforms when you see one is s skill, arguable a critical 21st century job skill, which can be cultivated as readily as other job skills. For the sake of our survival, I think it is incumbent on Extension educators to cultivate an ability to recognize emerging platforms. This begs the question: If the ability to identify emergent platforms represents a critical new job skill, what kind of professional training would enable Extension professionals to readily acquire these skills? 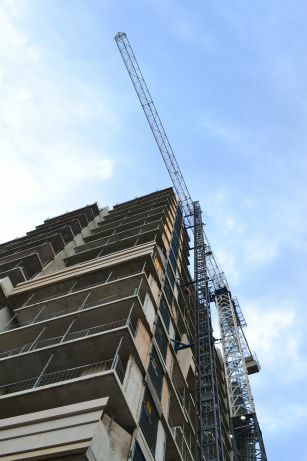 For that matter, how could Extension’s work environment be reconfigured to foster these skills? One thing of which I’m reasonably certain: We need to formulate ways to incentivize platforms-based thinking — for starters, to reward people who develop the capacity to know an emergent platform when they see one. And remember: This is not something that we can opt to do but that we must do for the sake of our survival. We must also focus on the specific ways that linear programming models hamper us not only from seeing but also from fully capitalizing on the emerging platforms around us. Likewise, we should identify the most optimal ways to instill our employees with an understanding the nuts and bolts of platforms, not only how these provide the basis for all manner of innovation but also how many of these innovations may ultimately form the basis for even newer, more generative platforms. What are some of the things that can be undertaken immediately to render Extension not only more platform-ready but also more platform-friendly? Aside from extensive retraining within our ranks, I think we also should explore ways to create more innovative physical space — in other words, transform Extension working environments to more closely resemble the open, free-wheeling environments that drive innovation. All of us must also understand how potentially disruptive all of this will be and how it will affect our day-to-day work. While some of us this sort of talk unsettling, we shouldn’t be surprised by it at all. Platforms not only provide the basis for far-reaching innovations but, in some cases, sweeping transformations, a few of which many threaten many, if not all, facets of our work. Granted, it’s a bitter pill for many of us, but like it or not, that is the new reality of the 21st century. This entry was posted in Future of Cooperative Extension, innovation, Open-Source Platforms, social media, Technology and tagged 17th century coffee house, Cooperative Extension, farm data management, innovation, Jim Langcuster, John Patrick Fulton, open-source platforms, platform, social media, social networking. Bookmark the permalink.